Wait, are we speaking English or a secret code only politicians, tax attorneys, and CPAs understand? Let’s take a minute to break down a couple of the most notable changes that may affect retirees and translate them from this “secret code” to plain talk for ordinary folks like us. The standard deduction for those married filing jointly has nearly doubled to $24,000 in 2018 from $12,700 in 2017. 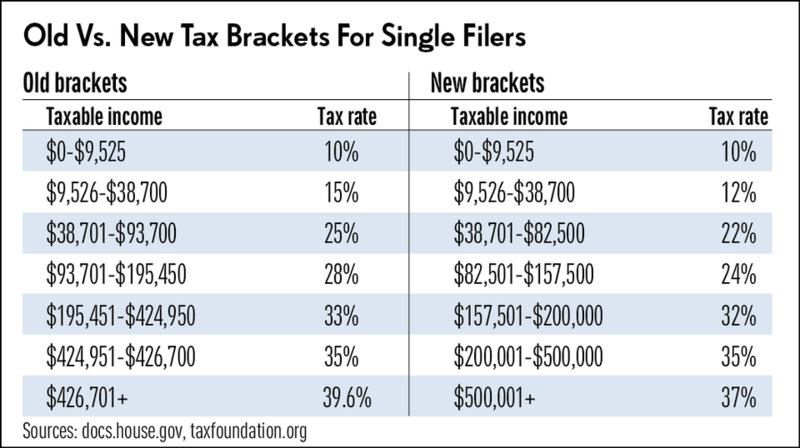 This simply means the first $24,000 ($12,000 for an individual) of income for most married couples who don’t itemize and file their tax return jointly is tax deductible. Even better, those over 65 get an additional deduction of $1,300 (up from $1,250 in 2017) each. This means a couple married filing jointly (MFJ) that doesn’t itemize can deduct the first $26,600 dollars of their income. Remember this $26,600 later on — it’s important. So, how big of an improvement, or “tax cut,” is that over the previous years? For some retirees, not as great as you might think. Here’s the dilemma: The Tax Cut and Jobs Act includes a "tax increase" for some. It’s probably not accurate to refer to this as an actual increase, but the new law removes the $4,050 personal exemption for now. Once again, let’s dive deeper (and simpler). This means a family MFJ in 2017 had a standard deduction of $12,700 and personal exemptions of $8,100, giving couples the first $20,800 of deductible income. Add in the $1,250 each for couples over 65 and, under the previous tax plan, they are now up to $23,300. Retired couples went from having the first $23,300 of tax-free income in 2017, to $26,600 in 2018. So, after all the talk of doubling this and doubling that, most families see less than a $3,300 increase in their deductible income. In hard dollars, that means the savings in taxes at a 12% federal rate is $396, not the thousands many families were hoping for. According to a recent article, the average household income was $67,565 in 2015, the latest year data is available. Hypothetically, if this was a couple who were both over 65 years old, filing MFJ in 2017, and taking the standard deductions of $23,300, they would owe approximately $5,700 in taxes. Under the new tax laws, they would see a reduction in 2018, bringing them down to approximately a $4,500 tax bill. Now that we’re “in the money,” I think we can agree that almost everyone could use an extra $1,200 in their pockets. Sadly, the new tax laws are not without collateral damage, and it may hurt those who need the funds most, including churches and charities. Many good-hearted, donating Americans will have their generous motives tested when they have to ask themselves if they will still give to their favorite charities and church if they no longer benefit from writing off the donations. Yes, they’re deductible in most circumstances; but, in order to take advantage of those “itemized” deductions, you need to file the long form instead of taking the standard deductions mentioned above. For example, let’s take a hypothetical couple with a $2,000-per-month mortgage, but only $1,500 includes the interest on their loan. This means that they’re paying $18,000 of tax-deductible mortgage interest. For 2017, that automatically means that they were more likely to itemize and file the long form instead of taking the standard deduction of $12,700 because they’re already over by nearly $5,000 with mortgage interest. If they were also generous and donated $5,000 to their church and charities, that would be another $5,000 they could deduct. Under the new tax plan, all their mortgage interest of $15,000, plus their donations of $5,000, fall well below the $24,000, the standard deduction that applies to all those married couples filing jointly, whether they have mortgage interest or not. Since it would make more sense in this hypothetical scenario to take the standard deduction, they would receive no added tax benefits for their generosity. One possible solution to this dilemma is for donors to consider biennial planning. This hypothetical couple could choose to hold back and save the donations for one year and double the donations the next year, allowing them to surpass the new standard deduction and begin writing off (deducting) portions of their charitable contributions. It’s important to remember that there are ways to still benefit from tax changes. Personally, I’d hate to see the valiant efforts of the many great charities, churches, and religions be in dire financial straits because of a new tax plan intended to help most Americans. I don’t know many people who strictly donate for tax benefits, but many have counted on not being taxed on those same donations. It’ll be up to us to continue our generosity and, possibly, be as creative as we can when strategizing how to benefit tax-wise.